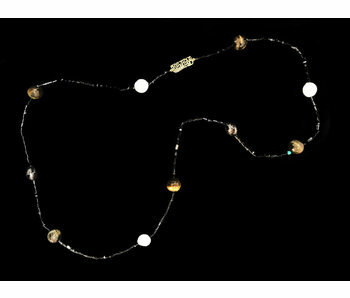 Long necklace with onyx cylindrical beads, and sporadically distributed tiger eyes, pearls and yousor beads. 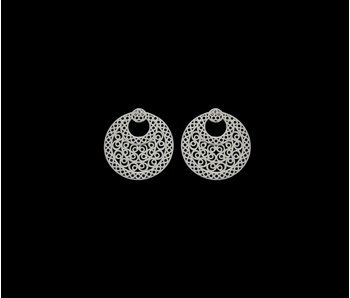 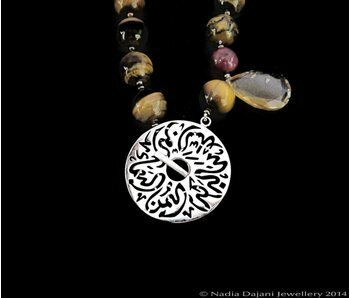 A motif with Arabic calligraphy saying is strung within. 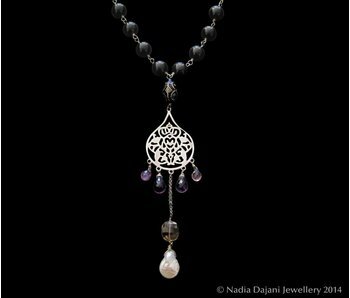 Onyx gemstones necklace, with a central yousor bead and a floral arabesque pendant with tassel of amethyst, ametrine, smokey quartz and a large baroque pearl drop. 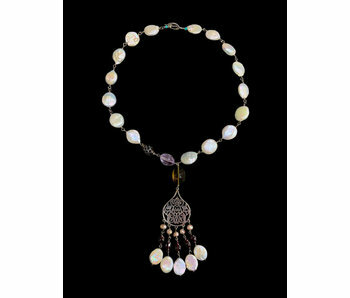 Button pearl necklace with a floral arabesque pendant and a unique combination of gemstones, to include amethyst, smokey quartz, garnet. 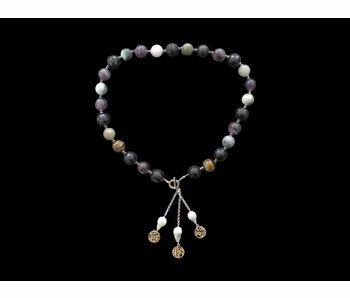 A medley of gemstones ranging from tiger eye, amethyst, jade, and pearls linked together to make this necklace which is inspired in its design from the traditional masbaha, or prayer bead. 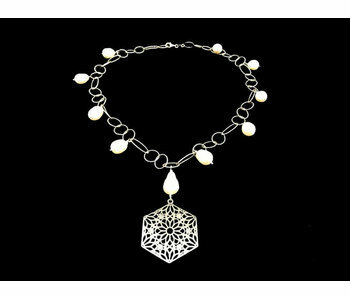 Chain necklace with large baroque pearls and a central hexagon pendant. 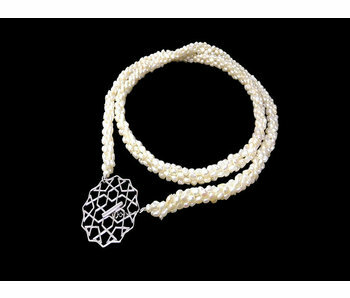 Long fresh water pearl necklace with a silver clasp with our geometric Cordoba motif. 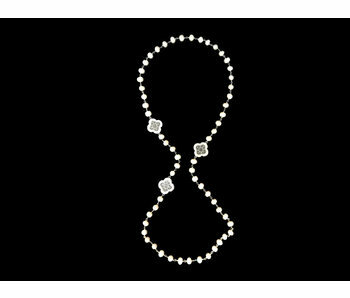 The necklace can be worn long, or doubled up as short. 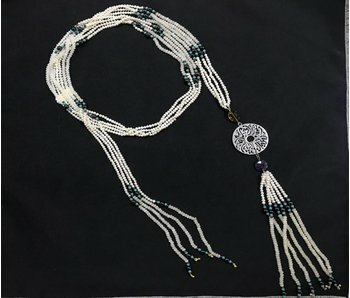 Currently available in Indian amethysts. 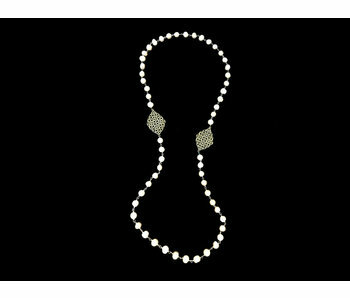 Long agate bead necklace with grey pearls in between and Masha'Allah inscribed in Arabic calligraphy. 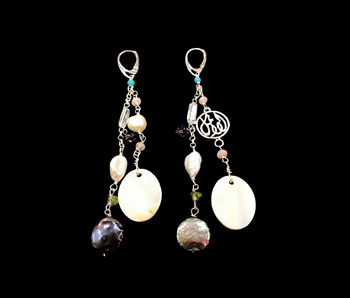 Long shower earrings with one Salam word, and a selection of gemstones. 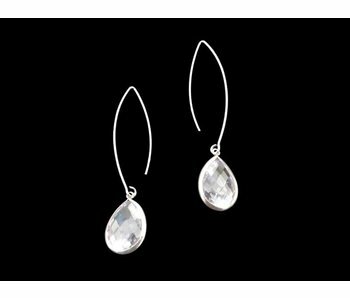 Earrings are asymmetrical, and have a French hook. 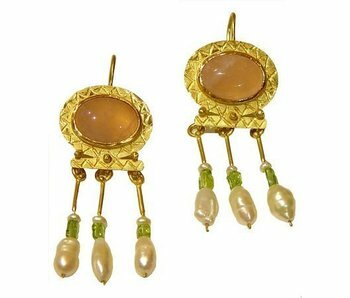 Replica of Byzantine earrings excavated at the oval piazza in the Roman city of Jerash, made in 18k gold, with rosequartz, peridot and fresh water pearls. 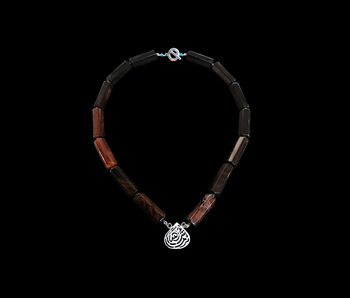 The original is currently is on display at the Citadel Museum in Amman. 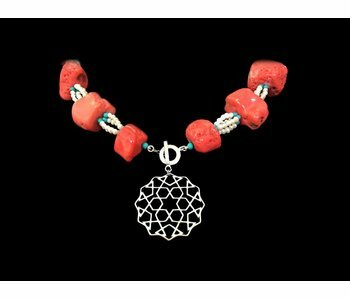 Corals and pearls intricately strung by our artisans with a front closure with our geometric Cordoba motif in silver. 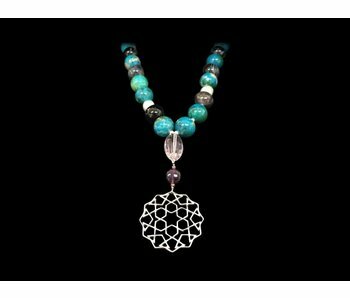 Long gemstone necklace with turquoises, pearls, amethysts and black agates with a central geometric motif. 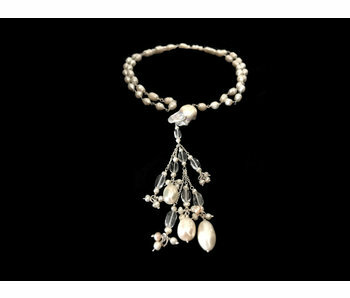 Jewellery that only happens once....hand made with special gemstones put together in a unique combination.